MONATH - Sieben und dreysig Kupffer-Tabellen sehens-und merckwurdiger sachen in des heil. Röm. Reichss-Stadt Nurnberg. MONATH, P. C. - Sieben und dreysig Kupffer-Tabellen sehens-und merckwurdiger sachen in des heil. Röm. Reichss-Stadt Nurnberg. Sieben und dreysig Kupffer-Tabellen sehens-und merckwurdiger sachen in des heil. Röm. Reichss-Stadt Nurnberg. - MONATH, P. C.
Title : Sieben und dreysig Kupffer-Tabellen sehens-und merckwurdiger sachen in des heil. Röm. Reichss-Stadt Nurnberg..
Map maker : MONATH, P. C.. Date : Nürnberg , after 1730. Size : 15.7 x 9.4 inches. / 40.0 x 24.0 cm. Description :Among the engraved plates there is a double-page world map in two hemispheres with a portrait of Martin Behaim (1459-1507) and the Bohemian coat of arms. Behaim's globe of 1492 is the "oldest known terrestrial globe" (V.d. Krogt & Dekker, Globes, p. 26), made in Nuremberg just before the discovery of America. It is a good example of the cooperation between scientists and craftsmen referred to above. Behaim himself was a pupil of the Nuremberg scholar Regiomontanus. During a stay of some years in Portugal, he learned of the Portuguese discoveries. When he returned to Nuremberg, he asked the local craftsmen to make a terrestrial globe based on Ptolemy, medieval maps, and Portuguese discoveries. The present map was made after Behaim's globe. 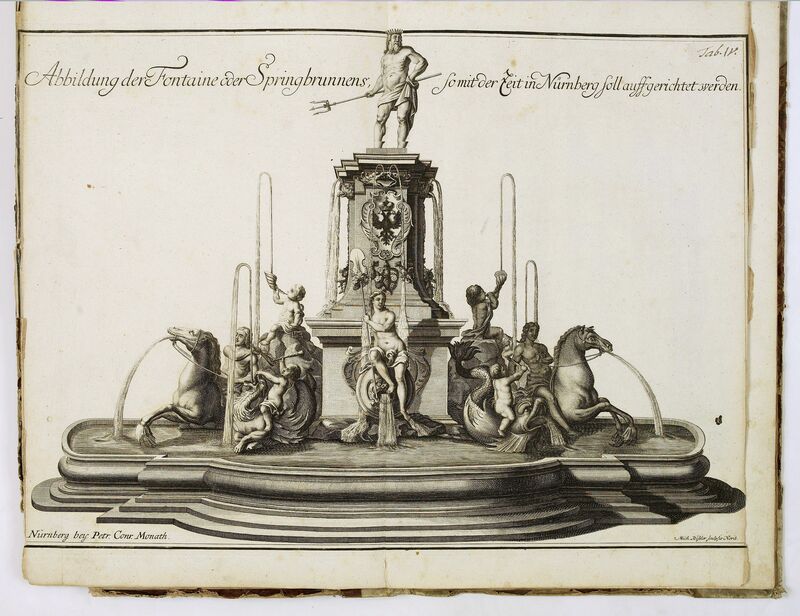 Other illustrations depict sculpture (stone and wood), metal work, technical instruments, artful carriages, a harpsichord, fountains, and coins. A beautifully illustrated history of Nuremberg scholars and artisans, "of lasting value for historians" (DSB). In Nuremberg the most prominent scientists lived side by side with some of the world's most gifted artists, who translated the ideas and theories of the former into instruments, maps and other objects. 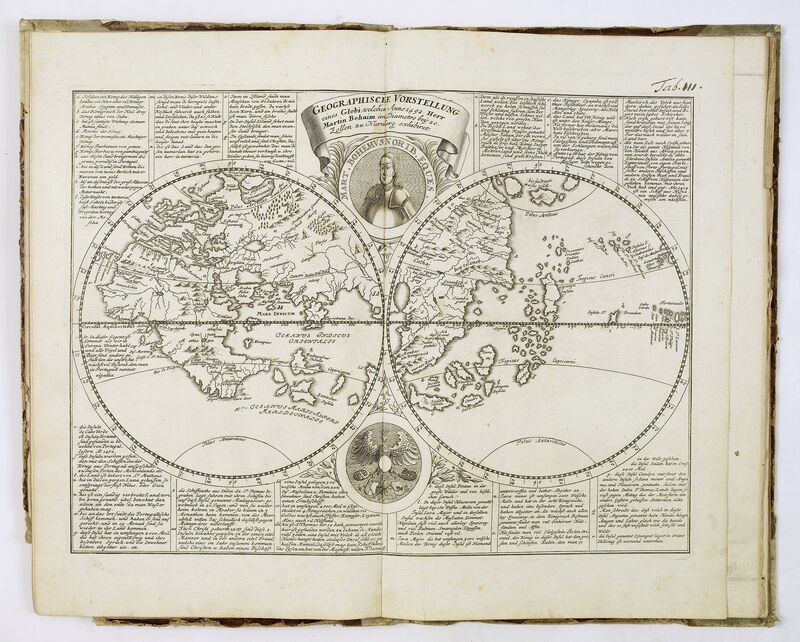 This fortunate symbiosis between science and craftsmanship resulted in important contributions to the fields of cartography, astronomy, physics, architecture and the arts. 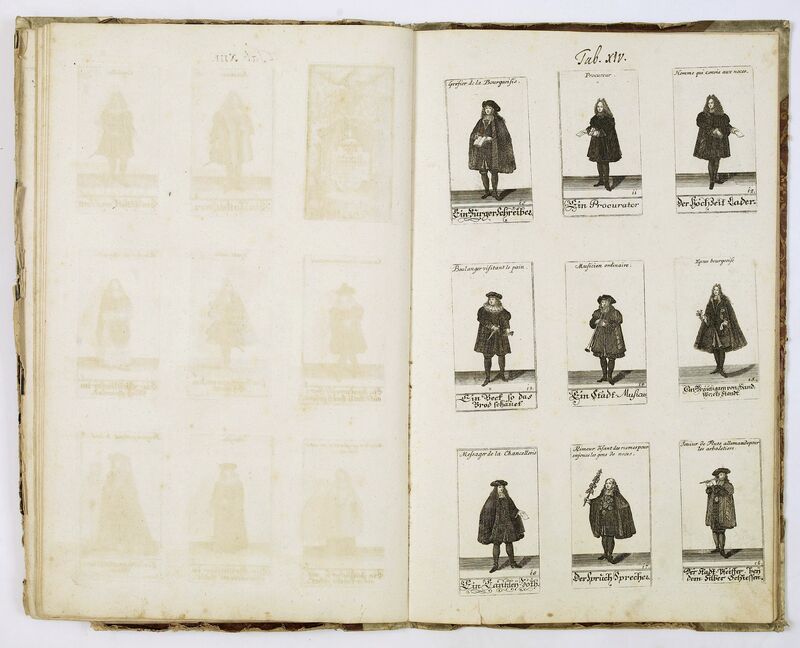 In the present work, Johann Gabriel Doppelmayr (1677-1750) gives a list of 360 biographies of scientists (part 1) and artists and instrument makers (part 2), arranged chronologically from the fifteenth to the eighteenth century. 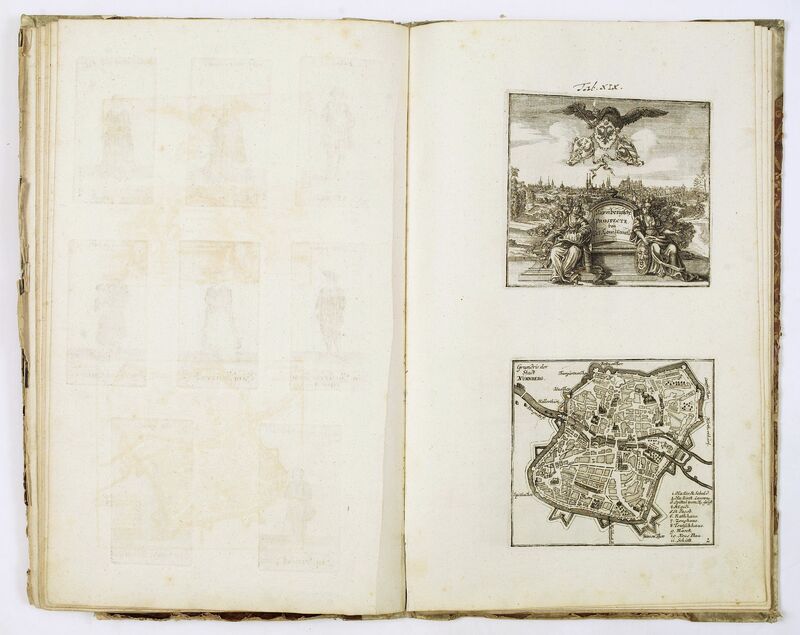 Condition : Folio, title page, index and 36 plates (of 37) of which 2 double page, contemp. half vellum (binding used.